An occasion as sweet as Valentine’s Day is incomplete with chocolates, but they are available everywhere, so why not try out something different? 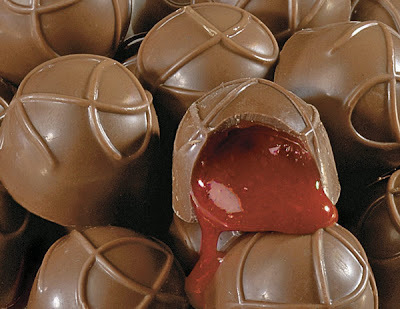 Try making your own home made Valentine Chocolate Covered Cherries. Our tried and tested Valentine Chocolate Covered Cherries Recipe will help you make those tempting chocolate covered cherries. · First of all, drain the cherries and dry by setting on paper towels. · Take a medium bowl and mix butter and corn syrup until it forms a smooth paste. Then, add confectioners’ sugar and knead to form dough. Chill if it is required to soften it. · Now, wrap each cherry in about 1 teaspoon of this dough and chill till it is firm and sets. · Now, melt the confectioners’ coating in a double saucepan over low hear and dip each cherry with its step and place it on a waxed paper. Chill the dipped cherries until they are completed set. · Store in airtight container in a cool place and consume in maximum 2 weeks.